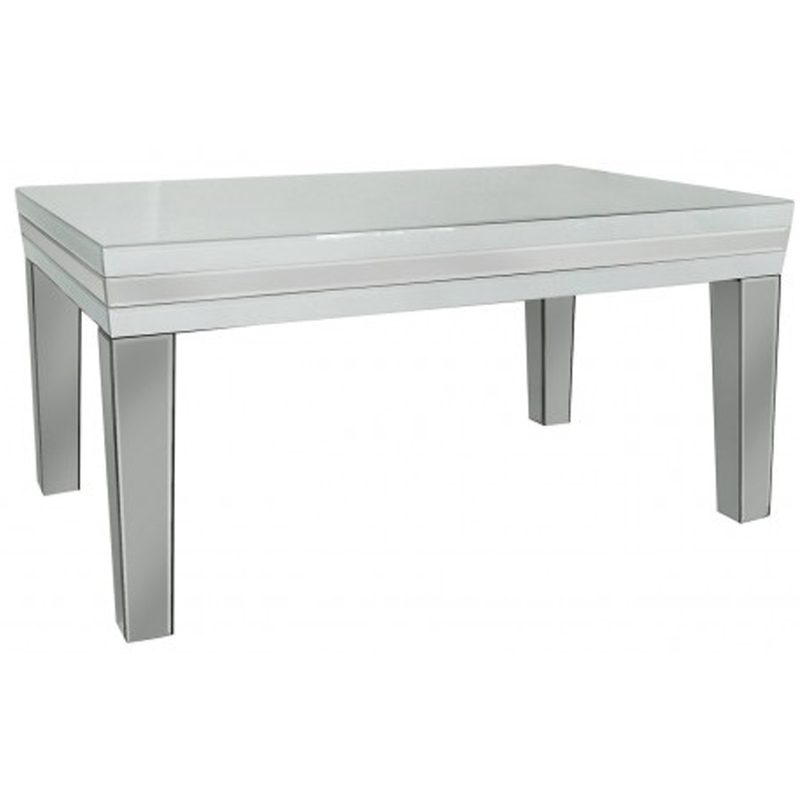 Introducing the newest addition to our collection of venetian mirrored furniture, coming from the Alghero Collection this beautiful Alghero White Mirrored Coffee Table is a perfect addition to add to your living room for a modern feature. The white colour alongside the mirrored exterior makes it easy to fit into any existing interior. Hand crafted to the highest quality this coffee table is a must have addition to any home.